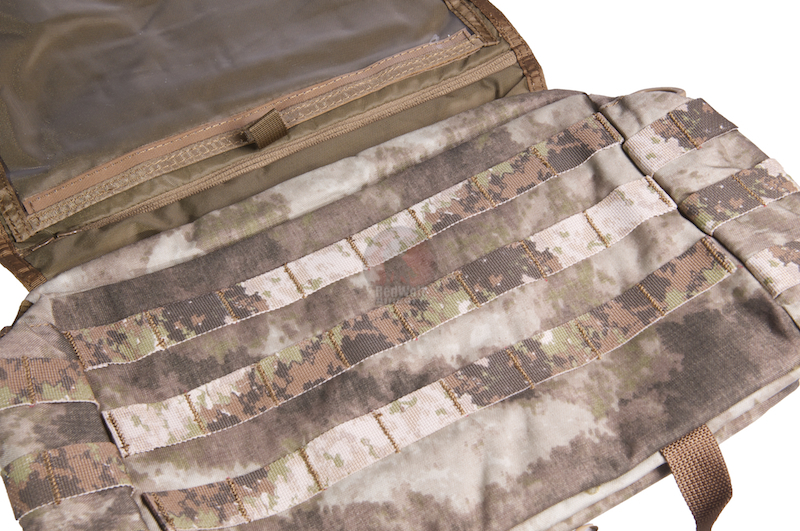 At first glance, the Pantac Messenger Bag looks just like any other side-saddle carry bag, but take a closer look, and you will be able to see its full potential! Constructed from 1000D Cordura this bag is waterproof and dirt resistant, perfect for both daily use and traveling abroad. 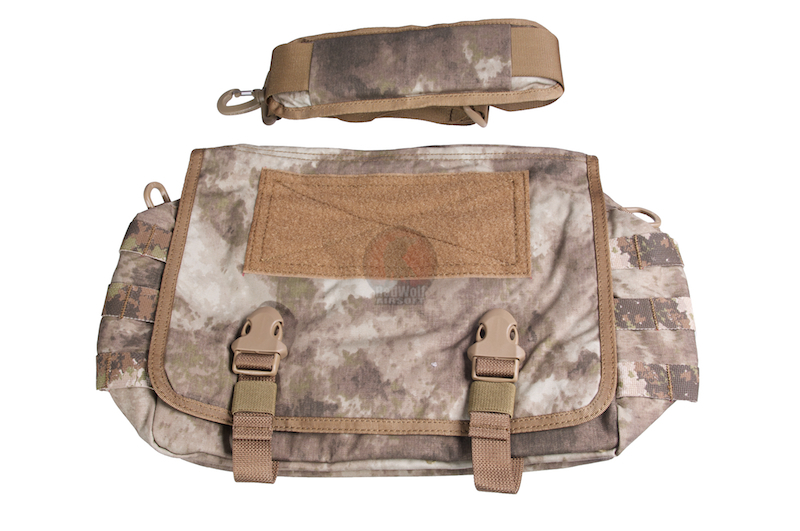 Available in the full Pantac range of colors, the Pantac Messenger Bag offers 3 panels of MOLLE rigging easily accessible by flipping open the main flap. The 27cm x 18cm flap itself features a very large clear map pouch, perfect for documents and other VIP papery items. The map pouch can be quickly and easily accessed by either flipping open the flap itself, or from the very handy zipper at the very top of the flap. There is also a hidden rear panel on the exterior of the bag, sealed with a Velcro strap, its internal is lined full of Velcro. Opening the main zipper reveals the main internal compartment, featuring a full face of Velcro on its rear panel, and 4x elastic mag holders and 8x elastic shell holders on the front panel. Behind both front and rear panels are pouches for holding loose accessories and small items. The removable 2inch carry strap is attached to the bag via the very durable ITW nexus clips, and features a 4inch wide shoulder pad for your upmost comfort.